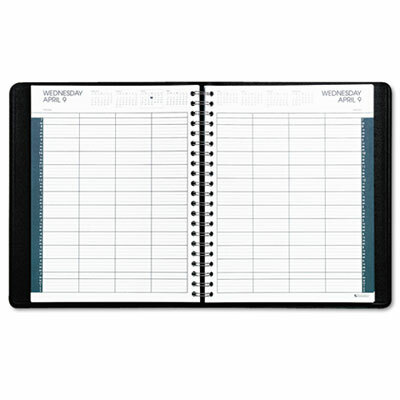 Keeps your day organized in 15-minute increments. Eight appointment columns per two-page spread. Conveniently bound in two 6-month volumes (January to June and July to December). Keeps your day organized in 15-minute increments. Eight-appointment columns per two page spread. Conveniently bound in two six-month volumes (January to June and July to December).